Happy Valley's Bad Bones BBQ will represent the state at what's known as the Barbecue World Cup with competitors from around the globe and more than 25,000 fans of smoked meat. 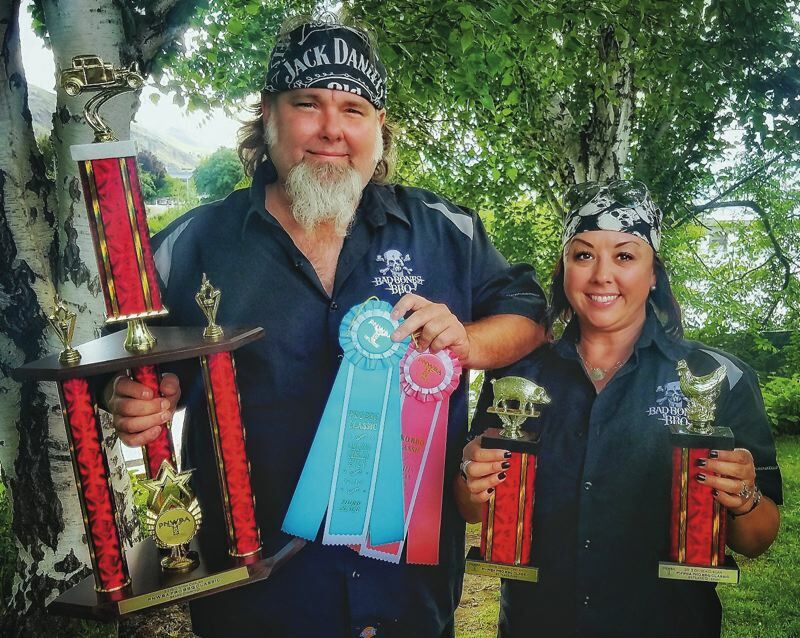 On Saturday, Oct. 27, husband-wife team Shelly and Brian Gurney, owners of Bad Bones BBQ, will be Oregon's only representative at the 30th annual Jack Daniel's World Championship Invitational Barbecue in Lynchburg, Tennessee. Teams from across the nation and international teams from as far away as Australia, Belgium, Canada, Hungary, Germany, Italy, Poland and Switzerland will compete in seven categories: pork ribs, pork shoulder/butts, beef brisket, chicken, dessert, cook's choice and Jack Daniel's sauce. "Pretty much everyone in the country competes to get there, so we're really excited to be representing Oregon there," Brian Gurney said. To qualify for the tournament, the Gurneys had to win a state championship with a minimum of 25 competing teams, or a competition with more than 50 teams battling in the categories of pork ribs, pork butts, chicken and beef brisket. As 19-time grand champions of such competitions, the Gurneys were up for the challenge. After seven years of competition, they've won six Oregon championships and five Washington championships. Brian Gurney says it's hard to explain the secret of the success for Bad Bones BBQ. "You need to have the right flavor profiles, tenderness and have the judges like the food to give you good scores," he said. When not competing, the Gurneys run a barbecue catering business and work to secure sponsorships for knives, grills, meat and the like. Admission to the barbecue championship in Lynchburg is a voluntary donation to the Moore County public-school system. For more information, visit badbonesbbq.com.